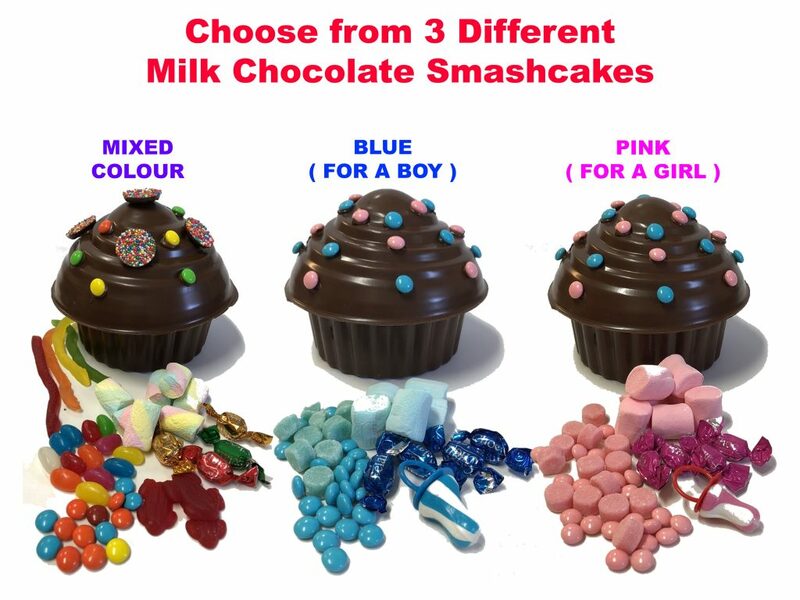 A Delicious Chocolate Smashcake that is made of milk chocolate and inside it is filled with delicious lollies, which you have to SMASH to get out. 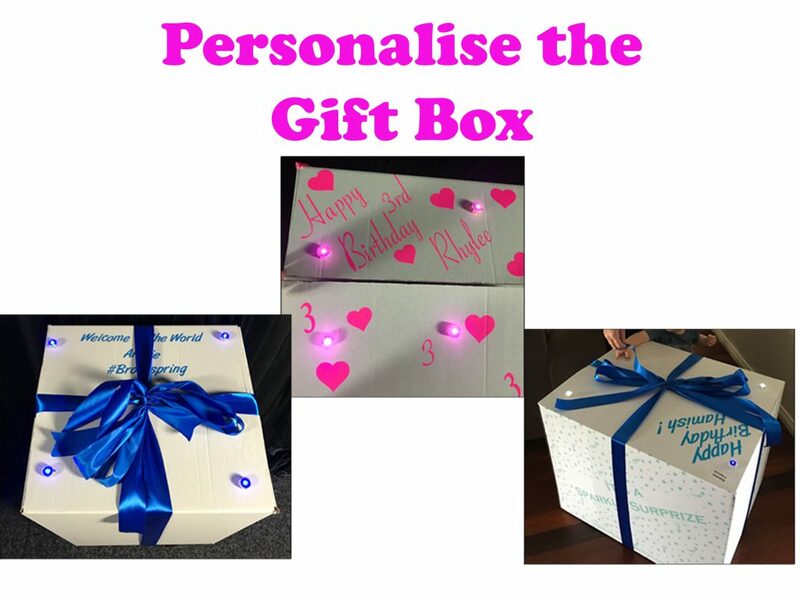 All presented inside a large gift box with lights. 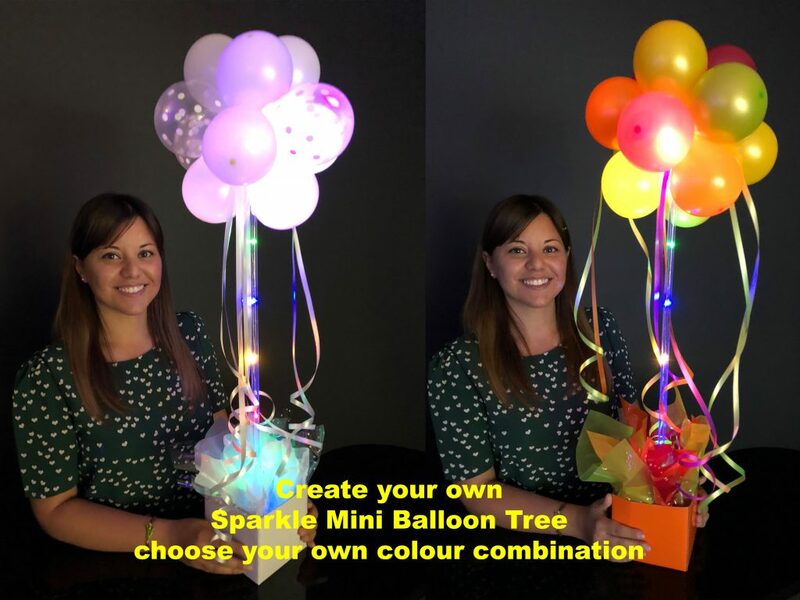 When the box is opened, mini helium balloons float out. 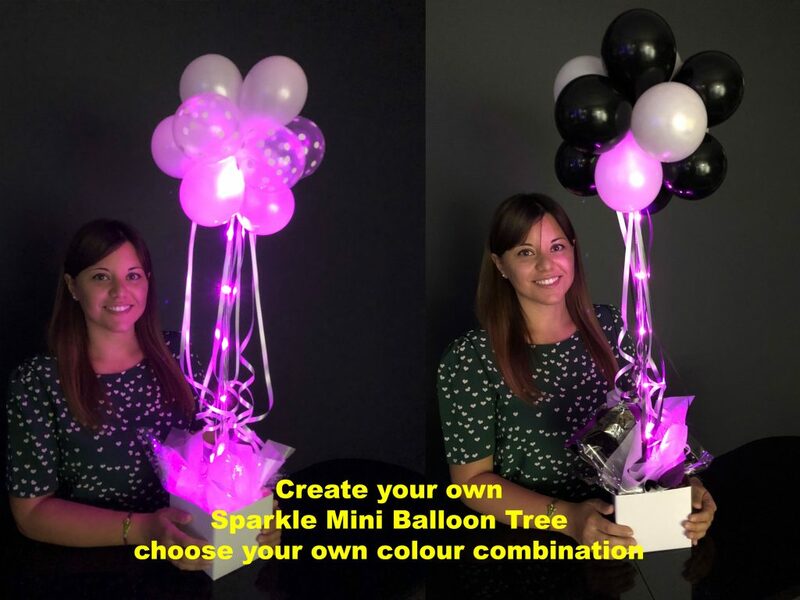 Inside is a themed foil balloon and a mini balloon tree in colours of your choosing. 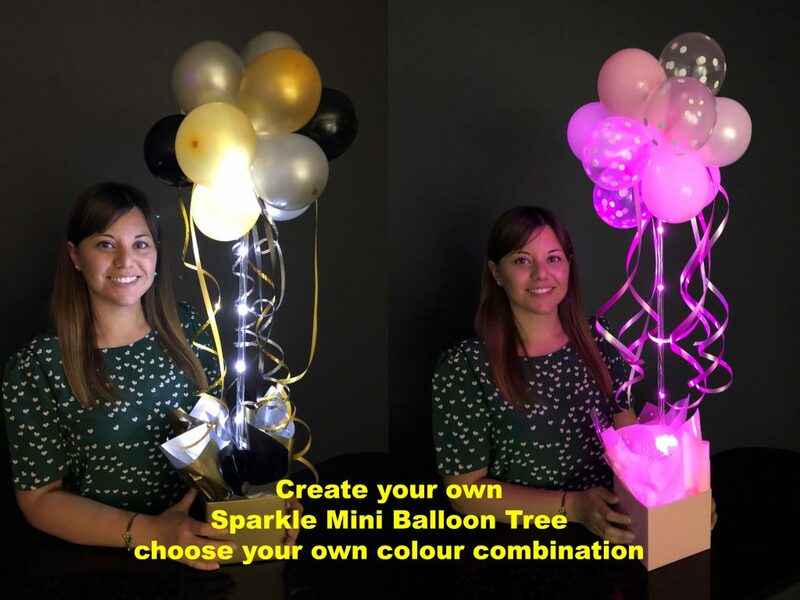 We even add mini L.E.D lights to add that wow factor. 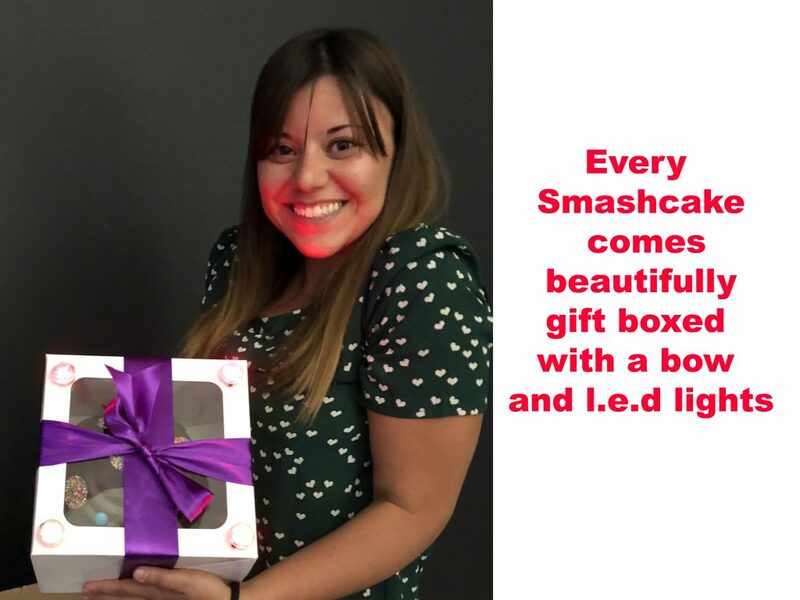 It’s the Perfect gift. Scroll down to purchase. 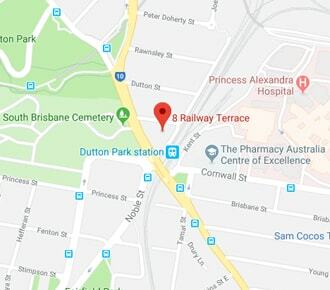 We deliver all over Brisbane and the Gold Coast. We can deliver mornings, afternoons and evenings. 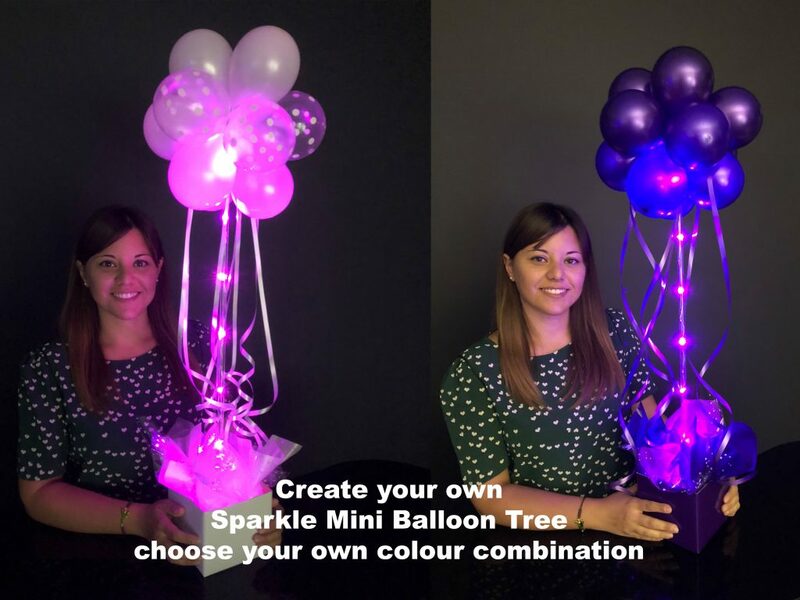 We can come to workplaces, homes, Restaurants, functions for any and every occasion. Watch the Video Below to see the Chocolate Smash Cake Surprize. Delicious Milk Chocolate Smashcake included with every order. 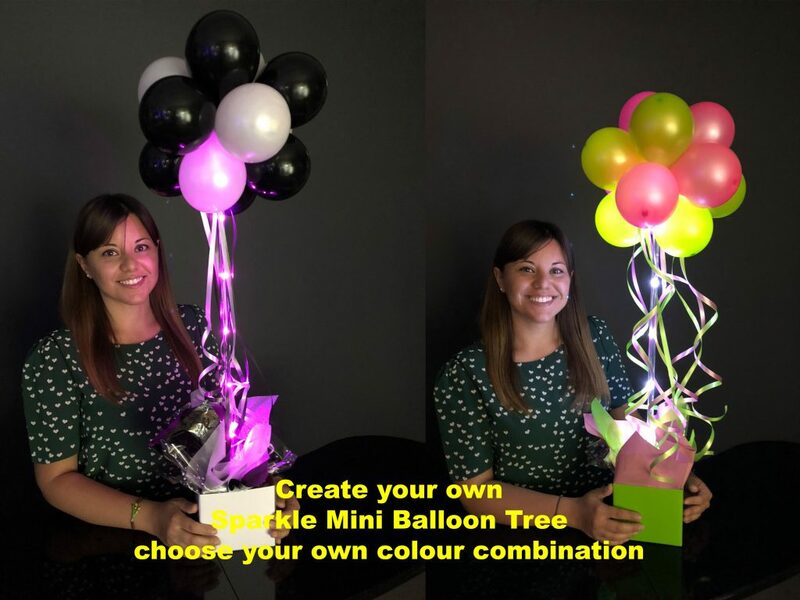 Suitable for all ages, male and female, boys and girls, ( who doesn’t love chocolate, candy and balloons )?